Over the weekend I made it a mission to see the stop-motion animated film ParaNorman. Since I do a 3-dimentional web comic using real models, I especially wanted to see this film. 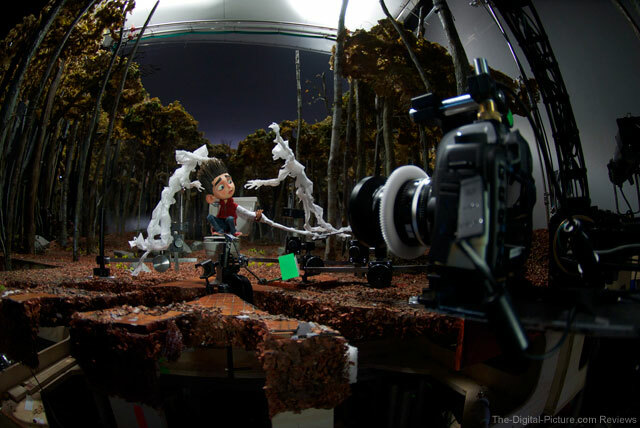 It seems that stop-motion animated films are rare with what Pixar and computer animation can do these days, and they take tremendous amounts of time to film. Before the film started, two trailers for upcoming animated horror styled films, Frankenweenie and Hotel Transylvania, tells me that animated horror kids films now are a genre. After the short list of trailers the film started, you thought it was another trailer for an upcoming film, it was stylized in a late 70’s grind house horror movie, but it was the film! 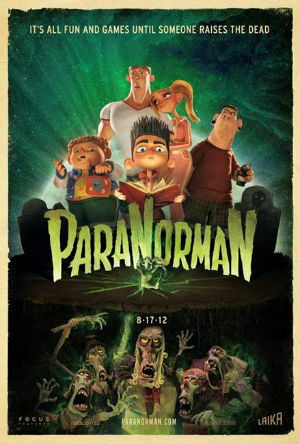 ParaNorman is filled with horror movie jokes from beginning to end, and is an ode to old horror films. Norman is a middle school student that has special powers of seeing the dead. On his daily stroll to school he has made friends with the ghosts he sees. He is an outcast at his school, picked on by his family, and really is ridiculed for his special powers. His only friends seemed to be his ghostly grandmother, and two other out casted kids at his school. It is a coming of age storyline that isn’t a groaner, if you know what I mean. This movie is a digitally filmed stop motion animation, which means they cleaned up the stop-motion and added special effects to the animation. It is so smoothly done that you really can’t tell the difference between what is the real models and added digital effects. The attention to detail is what makes this film beautiful. BUT to fully appreciate this film, you have to see it in 3D! It is 100% eye candy and will have you loving the animation. The music and sound effects also really sold sight gags, embedded comic lines in the background, and gave the movie the all around style. The style of the animated sets is very cartoony, but everything is styled like the mid-80’s. From the family car, a really funny looking station wagon, to the old school video games being played in the background in another scene, you think it is placed in the 1980’s in small town Massachusetts. The ode to 80’s horror films is very prevalent and very funny. 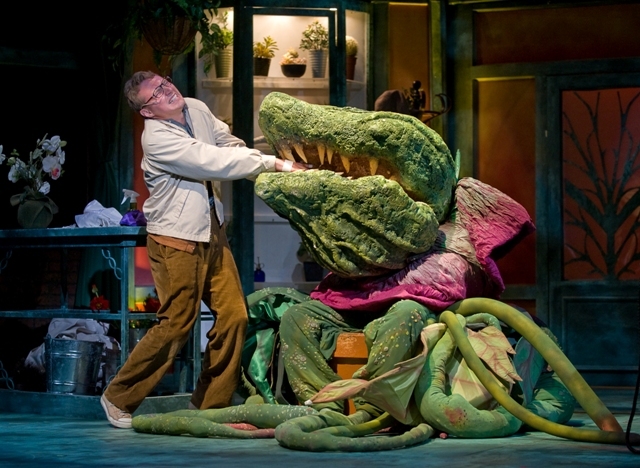 Written by Chris Butler, there are good non-stop jokes and even some dirty jokes aimed for the adults. The jokes make the coming of age story fun to watch as Norman uses his special powers to save his town from ghosts, zombies and a curse. This is a good family film, especially for the 9-14 year old range. It’s not too kiddie and it’s not to slow moving to lose interest. I highly recommend it to any fan of animation, it is stunning. I really don’t think seeing it in 2D will do it justice as seeing it in 3D. 3D made it look great, and they really played with the 3D effects. I give it 4 stars so if you are looking for a fun film for the family, with stunning visual stop-motion animation, this is your film. I want to thank Terror From Beyond The Daves for letting me again write up a movie review for them. Since this film is stop-motion animation, a genre I LOVE, and a film I enjoyed. This entry was posted in Movie Reviews and tagged Paranorman. Bookmark the permalink. ← “Haunting Tales of Horrorbles” and Svengoolie!